This is my ring photo. Both ring kites were made by me. Black ring diameter is 55 feet & orange ring diameter is 30 feet. 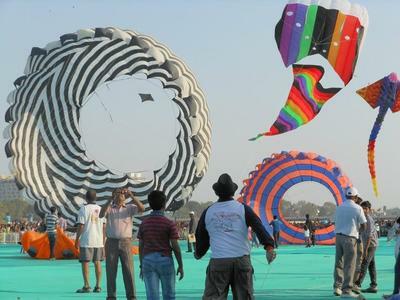 I flew them at the International Kite Festival 2013 at Ahmedabad, Gujurat in India. Hope you like it. Continue, may god bless u... keep it up.